Fickle Feline: easy prey: the irreparable damage committed by the anti-vaccine movement. easy prey: the irreparable damage committed by the anti-vaccine movement. I was never convinced that the MMR vaccine caused Autism. 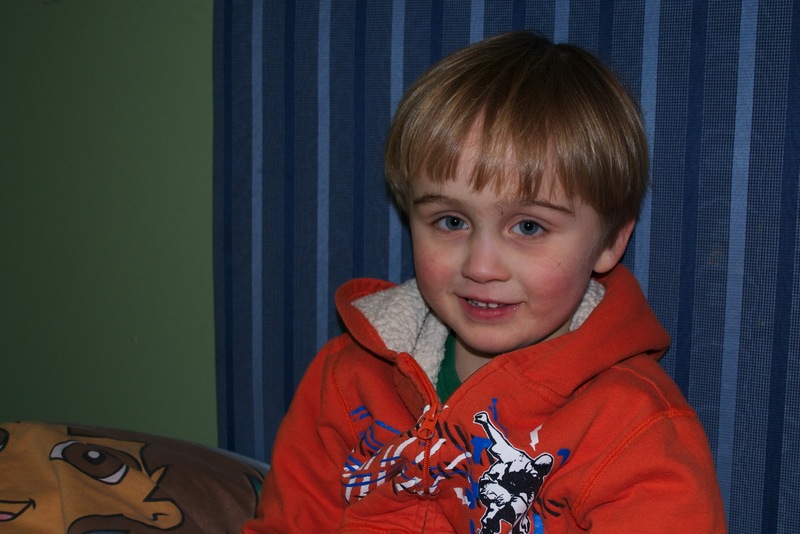 Max showed symptoms of Autism from the age of 6 months on (way before he had the MMR). It seemed far fetched to me that the answer was so obvious. If the MMR was a known cause of Autism, wouldn’t every doctor and nurse in the universe refuse to administer it? Wouldn’t every child with Autism who had received the MMR be put in an exhaustive study to compare them against children with Autism who didn’t receive the MMR? I’m not talking about a group of 12 kids like the Lancet Study - I’m talking about thousands. Any person who passed grade 7 science class would tell you that a group of 12 kids is not enough to base a study on. Especially if those results would affect millions of children worldwide. But that’s what happened. The results of a study that declared the MMR to be a cause of Autism - even though the results were never duplicated - had parents deciding en masse to not vaccinate their kids. The parents who already had a child with Autism who had received the MMR were left wondering if their decision to have their child vaccinated was the very reason their child had been inflicted with this terrible disorder. Add to that the celebrities masquerading as health care experts (I'm looking at you Jenny McCarthy) screaming from every media outlet that would listen that vaccinations made their kids Autistic. And they were wrong. The Lancet study was completely fabricated to support a lawsuit against pharmaceutical giant Smithkline Beecham. Yet there are still thousands of parents who hold onto the idea that it was the MMR that caused their child to be Autistic. We parents of children with Autism are easy prey. We are desperate to heal our children, to figure out how to help them (be it proven methods like behaviour therapy or unproven methods like extreme diets and hyperbolic chambers). Even I delayed my daughter's vaccines. I knew there was no scientific evidence that vaccines cause Autism. I knew that Cameron was completely different than Max, with not one single symptom of Autism. But still, somewhere in the back of my mind, was the idea that the MMR could possibly contribute to her being at risk for Autism. As I said, we're easy prey. But perhaps I am being too hard on myself. I have a child with Autism and I know devastating it is. I would do ANYTHING to avoid having another child with this disorder, even risking exposing her to other diseases. It isn't just parents of children with Autism who made health care decisions based on the findings of the fraudulent Lancet study. Parents of neurotypical children all over the world have decided not to have their children vaccinated for fear of their child becoming Autistic. I wish I could begin to describe the disgust I feel for the study's authors and the fear mongering tactics they used to take advantage of a population of people desperate for answers. What the Autism community needs is legitimate research that will discover the true causes of Autism. The answers are out there - avoiding vaccinating your child is not one of them. I'm keeping a list of positive responses to the BMJ (Yes Wakefield is a fraud, and here are the implications...) and negative responses (Wakefield's research IS TOO valid and vaccines cause autism anyway) at A roundup of responses to the BJM & Wakefield's research was motivated by fraud. The post is getting unwieldy, given the second set of revelations from the BMJ, but I'm carrying on. I've added your post to the list. The Times of London report did not bother to mention that the British investigation into whether or not Wakefield did that was the result of a complaint by... Brian Deer. The guy who wrote the article about the investigation never mentioned he was the complainant who precipitated the investigation. The truth about the doctor's research may be in doubt here, but not Deer's vast conflict of interest nor the Times of London's journalistic malfeasance. @UT - I think the HYPE has been that Autism is caused by vaccines (not true), and not the report that the research was fabricated. The truth is that fraudulent studies like this cast a negative light on the legitimate research being done to find the cause of Autism. @Tag, you know it sister. Obsession With Online Tutorials 12:44 a.m.
People also have to remember that every child is unique in the world....even twins are not exact...so when people become parents they take the chance and no matter what we are given our children are 100% our and 100% beautiful....We take the chance and are given beautiful human beings to love...not everyone gets that. People that are paranoid should sit down with a doctor they trust and discuss it face to face and have that doctor not talk you of of something but listen and say. Here if this were the case and it did hurt your child this is what would happen to the shot and it wouldn't be mass produced and available. I completely agree with you that us parents of autism are easy prey, and that the Lancet study did much more harm (and that's putting it lightly) than good for biomedical studies into the causes of autism. And as a mother and a scientist I find it unconscionable. But there is one thing I have to disagree with I don't think many people believe that vaccines are the sole cause of autism, but a catalyst or contributer. I don't believe that MMR caused Tristan to have autism, but I sure don't think it helped him. And when I see the change in him after starting the gluten free casein free diet and having him going from nonverbal to speaking after 1 B12 shot, well I cannot discount that there may be biomedical causes of autism. I don't implictely trust my doctor, (she told us she didn't think Tristan had autism, and I had to beg for a ped referral) after all they used to prescribe thalidomide to pregnant women in the 50's and 60's and look how that turned out. Could it be the same with vaccines, and preservatives they use? We chose to vaccinate our daughter who is neurotypical, on a delayed schedule because I believe vaccines are incredibly important, but I don't think small babies need all those shots all at once. And as a parent I think you have to do the research for yourself and make decisions that are right for your family and not follow a study or doctor or a friend on blind faith. Kat: just started reading a book called The Panic Virus about this very issue. I *firmly* believe that parents mostly want the same thing, which is to keep our children safe; it disgusts me that there are so many people willing to exploit that desire. Doing the research for ourselves is important, and that research should look at measurable and repeatable results. I applaud your willingness to speak publicly on this topic, as I know that it can be deeply divisive. I live in a semi-rural community that has a large number of parents who don't vax, and it scares the crap out of me. I feel afraid for those poor kids who are being put at risk due to choices out of their control. My kids were both done on schedule. Call me a sheep, but I trusted my doctor when I asked him directly about this subject. Please understand that there is a vast gulf between reading, especially of unsound or un-peer reviewed internet articles, and "research". Even Research done with a sound medical/scientific background requires wisdom for it to be interpreted correctly. I am a paediatrician and I know only too well that physicians don't have all the answers, but to reject their ability to choose sound treatment with their many years of training, in favour of the kind of "research" that web browsing can deliver is very short sighted. Ask yourselves why you would believe anything your MD has to say if you wont believe his or her opinion on vaccines, the single most valuable thing along with clean water, two things that prevent us from sliding back into third world status. No we don't have all the answers for sure but as a paediatrician with nearly 40 years in medicine, I have seen the devastating and heart breaking results of measles, meningitis and epiglottitis and pneumonias and eye infections and whooping cough, the natural history of which none of you would ever want to allow to unfold. I have seen and attempted to treat these conditions and have seen the awful effects and death that have come from them... and I don't even live in a third world! Please, give science and medicine and especially vaccinology a chance, and help to protect all those as yet un vaccinated children, your children. It's about the children, sometimes it's easy to forget that in all the striving to get one up on the experts. Make sure that it doesn't become "all about you". Finally, the notion that doctors are somehow in cahoots with the vaccine industry is fatuous. The money to be made in recommending and providing vaccines is negligible and in my case, acquires a negative balance given the amount of time I take to explain and demystify vaccines. There are some newer vaccines/immunizations that are nothing like as significant in their public health benefit, to be sure and my enthusiasm for those is not as great, but the basic vaccines are "dirt cheap" and critical to the well-being of our society. Their cost-benefit ratio is phenomenal compared with practically any other public health measure.